The Photographs Catalogue contains hundreds of historical photographs. You may purchase the images in the Photographs Catalogue. They are printed on acid free paper with acid free ink and available in standard sizes including 8 x 10 inches, 16 x 20 inches and 2 feet by 3 feet. Once you find the photo you would like to order, click the "Request Photo" link to send us an email with the catalogue number of the photo and we will contact you for payment. Enter one or more Keywords into the "Keyword(s)" search box below. Example: if you entered "McGuire Lake", the search would return all photos that contain the Phrase "McGuire Lake", photos that have both words (but not in the exact phrase) as well as photos that contain at least one of the words. The results are order with the most relevant result first. Search relevancy is in the following order: matching phrase, contains all words, contains one or more of the words. 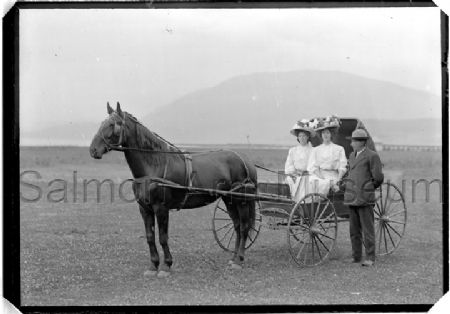 Two ladies sit in a buggy drawn by a horse driving single. A man in a suit and hat stands next to the buggy. The ladies are each wearing white gowns and elaborately flowered hats. 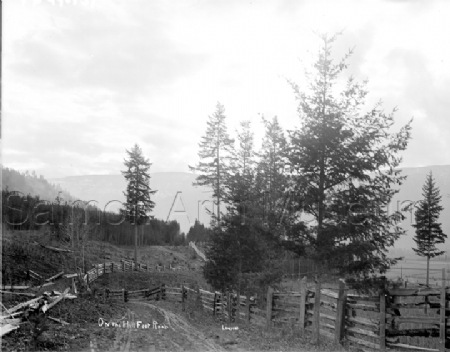 The Salmon Arm wharf is visible in the background. 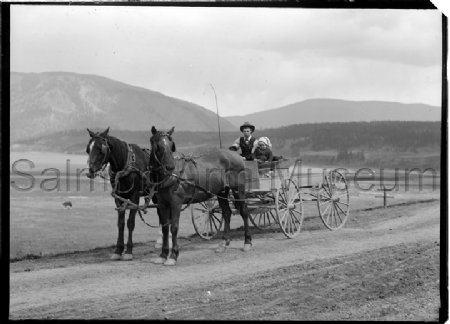 A young man and child are riding in a wagon drawn by two horses. Bastion Mountain is visible in the background, as is the lakeshore. Hill Foot Road; a gravel road with a rail fence on the right side, partly cleared land, and farms nearby. 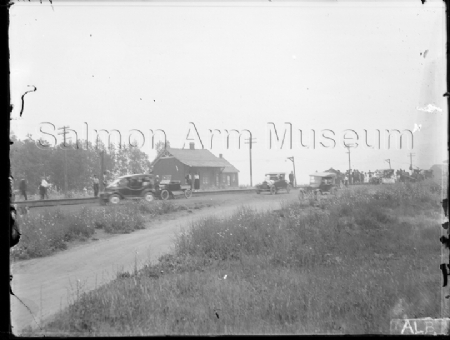 Cars parked at the CPR Station off Front Street.